Because Christian missionaries founded the first universities in Korea and somehow private institutions’ right to setting their own curricula is given priority over people’s freedom of religion. 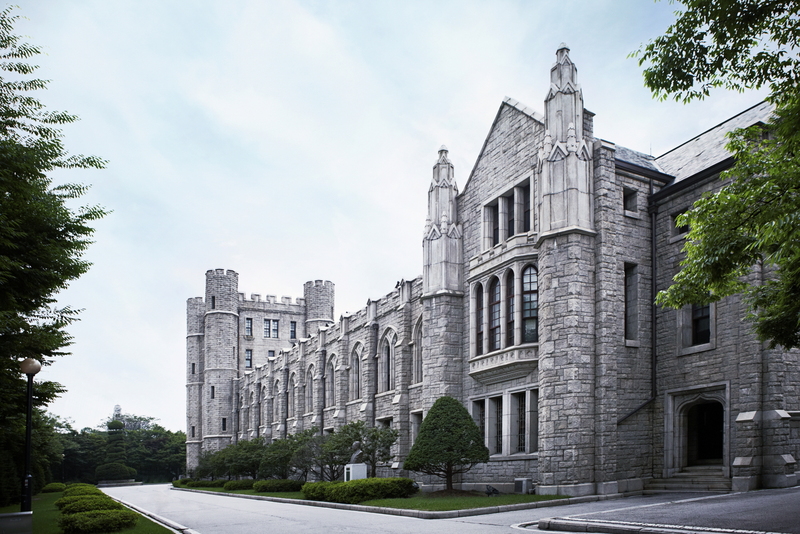 The prestigious Yonsei University (1915, founded by Horace Underwood), Ewha Woman’s University (1910, Mary Scranton), and Sogang University (1960, Society of Jesus), among many others, were founded by American missionaries. Chapel is mandatory at Yonsei and Ewha – 2 years at Yonsei and 4 years at Ewha. All Yonsei students must also elect one course on Christian thought in their first year. Which in my view is an infringement on personal freedom of religion, but somehow it isn’t given priority. Most Korean universities that are considered prestigious have a long history originating sometime around the beginning of the 1900s – a time when Korea was forced to start opening up to the outside world and to Christianity, starting with the 1882 US treaty (including the notorious most-favoured nation clause). It was around this time that Koreans started opening up to Western medicine, education, law, and of course, the exploitation that came with it. At the time, many pupils were eager to receive “Western education”. Before the Gabo Reforms of 1894 abolished the social class system (inclusive of slavery), only the yangban class was allowed to attend higher education in reality. Women were banned from any sort of formal education, and so were the sons of concubines. To represent the newness of this “Western learning”, universities insisted on following baroque or gothic architectures. The SKY League, composed of Seoul National University (Seoul National, SNU), Yonsei University and Korea University, shreds glimpses into Korea’s modern history, especially that of Japanese colonisation. This League is considered the “Ivy League” of Korean higher education in all major fields. Seoul National University (SNU)‘s roots trace back to Gyungsung Imperial College, founded by the Japanese Imperial Government in 1924, in order to educate pro-Imperialist officials, both Japanese and Korean (though the ratio was 3:1 or 4:1). It was with Korea’s independence that several Gyungsung (Japanese name for Seoul during the colonisation) colleges were incorporated to create Seoul National in 1946. SNU’s official stance is that it was created in 1946. Considering it’s Korea’s best university today, it’s rather ironic, and saddening at the same time. The remains of Gyungsung Medical College stand as a monument in Hyehwa, in central Seoul, and every time I pass it I feel somewhat repulsed from its history, but awed at the same time by the doctors that emerge from this prestigious university. Korea University (KU)‘s roots lie in Bosung College, founded in 1905 by the Yi Yong-ik, Joseon official and independence activist. Bosung faced suppression from the Imperial government, and Yi went into exile in 1910, after Joseon was annexed by the Japanese. In 1932, Kim Sung-Soo, who also ran the Donga Ilbo, rescued the school from poor funding. Donga Ilbo and Chosun Ilbo, two of Korea’s major daily newspapers today, both funded and ran nationalist movements under Japanese rule, and Donga in particular has been censored multiple times due to its “Anti-Imperial” contents. It was also the violent repression of KU student protesters by government officials on April 18th, 1960, that triggered the “4.19 Revolution” the following day. The nation commemorates 4.19, but KU commemorates 4.18 instead, and the students are very proud of their historic activism. Yonsei University (Yonsei)‘s roots go back to two different institutions: Severance Hospital and Yonhui College. Horace Allen, a missionary from the US Presbyterian church, founded Gwanghyewon, Korea’s first modern hospital, in 1885, under King Gojong’s authorisation. The hospital was renamed Jejungwon later the same year. In 1886, Jejungwon added a medical institution wing. In 1894, Jejungwon was ceded to the Presbyterians as the Joseon government faced financial difficulties following the 1894 Reforms, and renamed Severance Hospital in honour of the philanthropist who aided the construction of new buildings. The Presbyterians later established another institution, Chosun Christian College, in 1917. Throughout colonisation the two institutions began cooperating and talking about a merge, but were obstructed by the Japanese imperalist government. Following Korea’s Independence, Yonhui College and Severance Hospital were merged in 1957 and re-named Yonsei University. 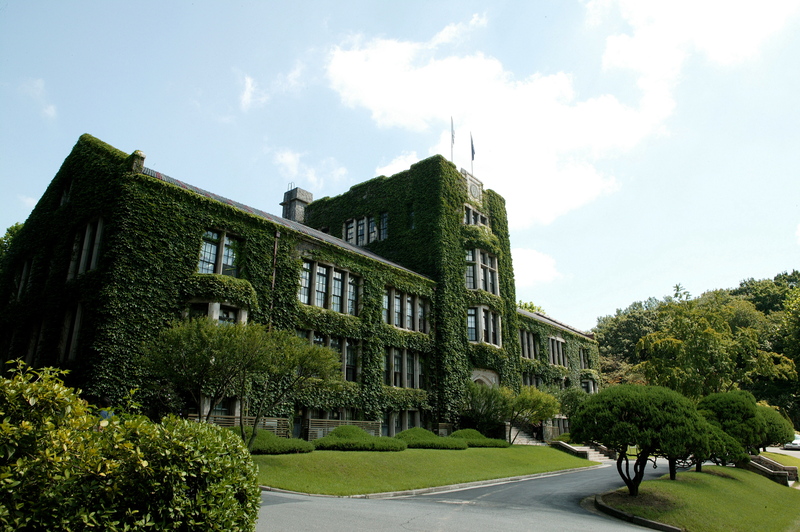 The university is generally considered the best private university in Korea. 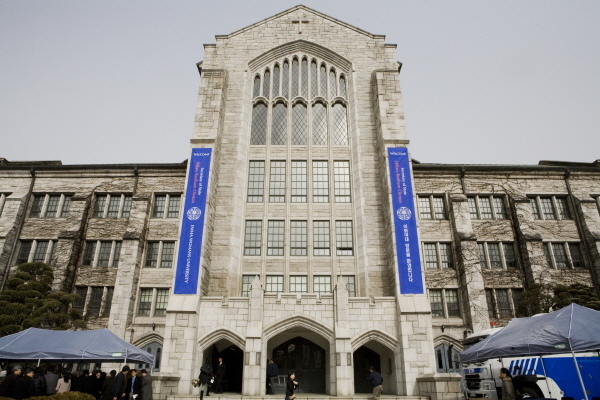 A rival of KU, Yonsei offers diversified majors, especially in the humanities and arts. Of course, non-SKY League universities also show the interesting mix between modernity and religion. Sungkyunkwan University (SKKU) claims to be the oldest Korean university in existence (1398). However, since the Joseon institution of Sungkyunkwan focused on Confucianist teachings and on educating government officials, it can only be truly considered to have become a university in 1895, when it was reformed into a 3-year university (I personally think there is no correlation between the two, since SKKU is a private university, as opposed to the Joseon Sungkyunkwan, which was a state institution). The school has been gaining status in the 2000s as Samsung began openly backing and funding the school. 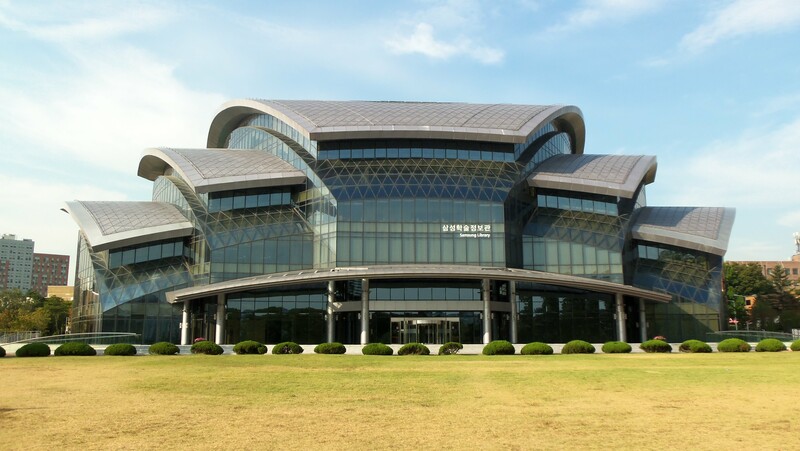 Although chaebols such as Samsung and Posco have funded several universities in constructing new buildings, Samsung’s particular interest in SKKU is best demonstrated by the school’s “Samsung Scholarship” programme. Sogang University (Sogang)‘s founding is religious to its very core. It opened on April 18th, 1960 (interesting date) by the Jesuits with blessings from Pope Pio XII. Its presidents were all Catholic priests until 2005, and from 1960 to 1985, the presidents were all Americans. Heavily influenced by Catholic practices, the school’s buildings are all named after religious figures, such as Ignatius, Loyola, Mary, Matteo, Ricci and Xavier. More or less an extension of a Catholic high school, Sogang is famous for its strict rules, including the FA (Failure on absences) system, fixed seating system, and the bell that rings at the end of every hour (bells ringing at the end of hour is common in Korea until high school). If you fail a certain number of classes, you must have a 3-party meeting between your professor, your parents and yourself. Students and outsiders lovingly have given it a nickname – Soganggo (go meaning high school). The school is well-reputed for its English Literature and Journalism departments. Ewha Woman’s University (Ewha) was established as Ihwa Hakdang in 1886 by Mary Scranton, a Methodist missionary. It was with Ihwa Hakdang that general education was made available to women, for admission to institutions of formal learning was restricted to men at the time. In 1910, Ihwa began offering higher education and in 1925 was renamed Ewha Woman’s Professional College. 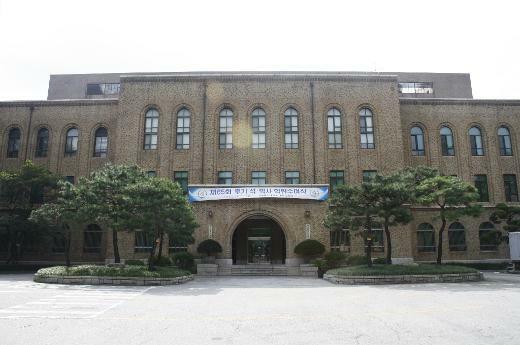 In 1945, the school was forced to rename itself Gyungsung Women’s Professional College, but upon independence finalised it to Ewha Woman’s University. Ewha and SNU are the only two universities that offer Gender Studies as a major in South Korea. Addendum:There are several other schools with interesting histories, such as Postech and KAIST, but I will talk about these engineering schools another day. Also, a few specialised schools excel in some fields over the Sky League: Performing Arts – Korean National University of Arts (Hanyejong), Fine Arts – Hongik University, Public Policy and Mgmt – KDI.